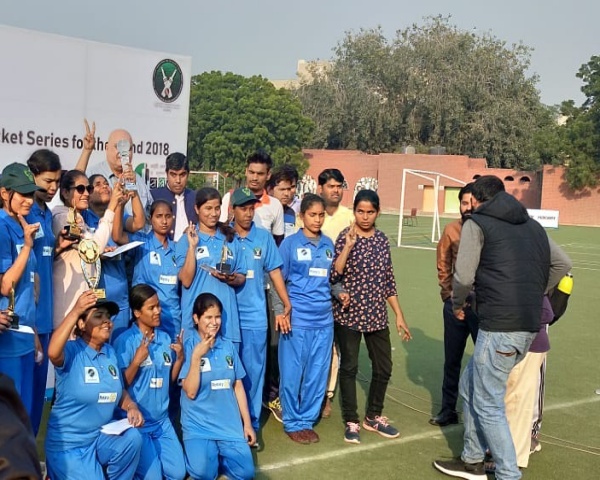 They were much younger in age, but the Jharkhand girls put up a spirited fight in the first inter-state women's blind cricket tournament held in New Delhi. 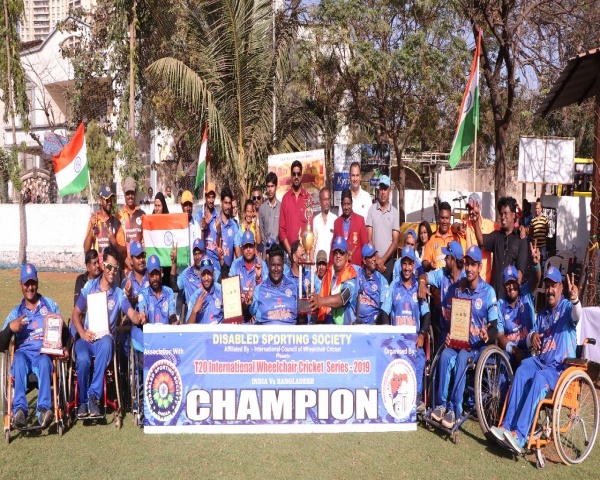 The two-day bilateral three-match series between Delhi and Jharkhand was organised by the Cricket Association for the Blind, Delhi (CABD). There were two matches of 12 overs played and Delhi won both. In the first, Jharkhand was beaten by 53 runs and in the second by eight wickets. "We had a great tournament", said an exhilarated Ankita Singh, Captain, Delhi team. "The Jharkhand team was made up of school students, but they were really good. We had a harder time playing against them than in previous club level matches." 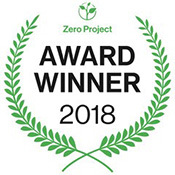 The Delhi team has 16 members, mainly made up of students from various colleges of the Delhi University, while the Jharkhand team was made up of students from the St Michael's School for the Blind in Ranchi. The average age of the team was 14 years. 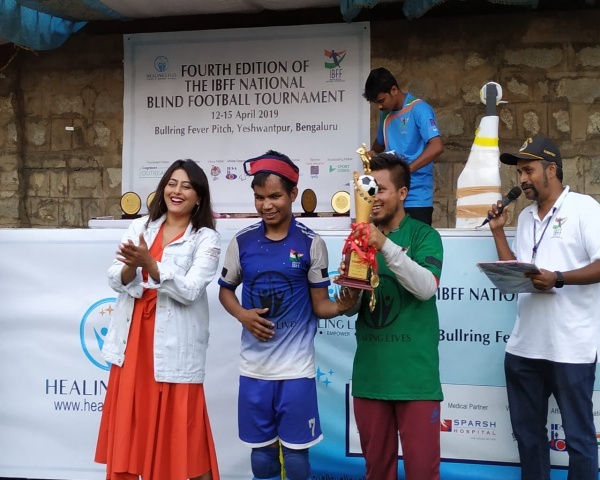 The commitment and dedication shown by the blind women cricketers has won the admiration of their physiotherapist Dr Bhavika Parikh, who works with the national men's blind cricket team. "The girls are coming up well and that is creditable given the challenges they face. I spent some time coaching them before and after the tournaments working on some weak areas. They need to be quicker with picking up and throwing the ball, but given that this is their first tournament, the signs are very encouraging." Ankita, who started playing cricket as a student at the National Institute for the Visually Handicapped (NIVH) in Dehradun has her sights firmly set on playing for India. She is talented with both the ball and the bat and credits her sports teacher at NIVH for nurturing her talent. "I played in a mixed team of boys and girls in school and have loved the game since then. 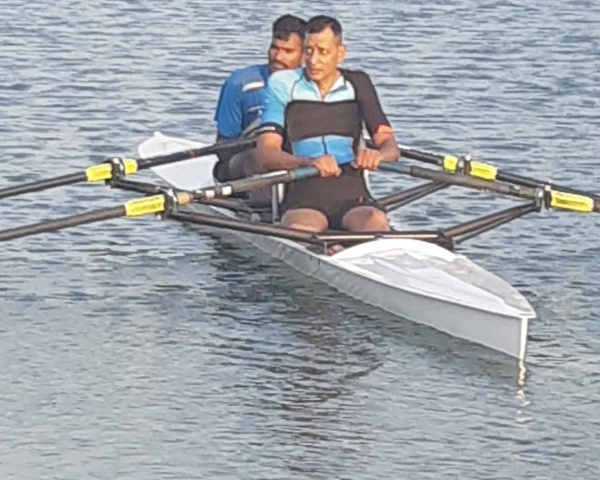 We face many challenges in Delhi, the biggest being the lack of grounds where we can practice. We are from different colleges so getting access to a ground is hard. We have to travel quite far to GTB Nagar to practice on the grounds of the Blind Boys Hostel." Challenges these girls are determined to overcome. They are getting plenty of inspiration from the current national women's team led by Harmanpreet Kaur, which is doing well in the world series. "Earlier Sachin, Virat and Dhoni were my favourites but now when people compare me to and Mithali Raj, I feel very happy," says Ankita, with a smile.